Outliers Collective carries Alta California Botanicals in El Cajon, San Diego. Alta products are 100% organic cannabis tinctures made for specific treatments. They use primarily cannabinoids CBD, THC, and THCa to give different beneficial effects to their medicine. Based in San Francisco, Alta uses legally grown marijuana to make Cannabis-Based Medical Extracts (CBME). Quality standards and hygienic practices result in their products being consistent and safe. Alta California Botanicals is an all-natural remedy without negative side effects. 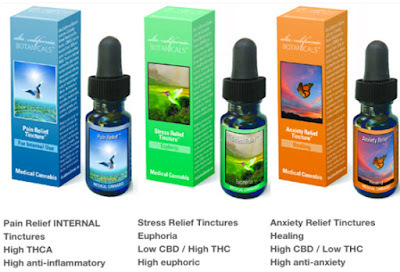 Members at OUTCO can benefit from Alta's various tinctures. The Pain Relief Tincture has a high concentration of THCa. When not heated, it can provide pain relief without a psycho-active effect. The Anxiety Relief Tincture is formulated with CBD to offer the maximum in healing properties. Alta's Stress Relief Tincture is a psycho-active treatment that allows for a euphoric feeling and should be used at the end of the day.